◆B. It won’t stick paint easily for the special design for cap. ◆C. Light capacity designed suitable for longtime worker or female worker. ◆D. The design for the cup is placed upon the thumb and the index finger is very convenient to operate..
◆E. 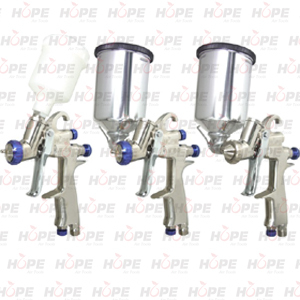 Nozzle and needle is made of SUS303，its suitable for water paint. ◆F. Teflon o-ring, can endure acid and alkali.